According to political legend, a Yankee legislature in the 1930s didn’t trust Boston’s Irish politicians to regulate bars and restaurants — and imposed a cap on the number of liquor licenses in the city. Those limits, which require legislative action to change, now stand at about 350 beer-and-wine licenses and 675 full liquor licenses. The numbers have crept up a little over time, but not enough to keep up as Boston’s economy and population recovered from the miasma of the 1970s and as the American gastronomic scene matured. These limits have bizarre results: Boston ranks only 119th among the state’s cities and towns in the number of liquor licenses per resident. In this regard, the center of New England’s convention and tourism industry — the third-most walkable major American city, and an economic hub whose population is said to double every workday — ranks just behind quaint little Ayer. The artificial scarcity creates a seller’s market for existing Boston licenses; buyers may pay $50,000 for a beer and wine license, news reports indicate, and from about $200,000 to as much as $450,000 for a full liquor license. Not everyone views the licensing process as unmanageable; Darryl Settles, who owns a restaurant and club in the South End and founded the BeanTown Jazz Festival, maintains that the licenses and permits needed for bars, clubs, and public events are obtainable if applicants are willing to put in the necessary time and neighborhood outreach. But the numbers are too daunting for others; the acclaimed chef Jason Bond told the Globe last year that he started his whole Cambridge restaurant for what a Boston liquor license alone would have cost him. Inevitably, licensing costs affect how bars and restaurants operate. If you paid $280,000 for a liquor license, you can’t open a 20-seat bar where cocktail nerds linger over moderately priced old-fashioneds. The scarcity also creates opportunities for political manipulation, as what should be a fairly objective review of license applications — are there enough fire exits? — in practice involves checking in with lots of politicians. 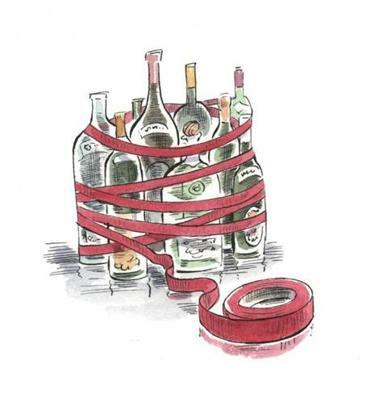 This system reached an ugly nadir in 2007, when, according to a federal affidavit, state Senator Dianne Wilkerson cut a backroom deal with Senate leaders and Boston officials to steer a liquor license to a business in her district. Wilkerson later pleaded guilty to bribery charges in that case. The benefits of a somewhat looser system are evident in Washington, D.C., which is known for rep-tie-wearing lobbyists in mahogany-paneled steakhouses, but where the reality today is a U Street corridor thick with music clubs, bars, small ethnic restaurants, and old neighborhood standbys. Even on a cold, drippy weekend night, it teems with life at 2 a.m. But then Washington, with slightly fewer residents than Boston, has over 10 percent more active on-premises liquor licenses. And according to that city’s Alcoholic Beverage Regulation Administration, there’s no legal cap. Dante Ramos, deputy editor of the Globe editorial page, can be reached at dramos@ globe.com. Follow him on Twitter @danteramos.